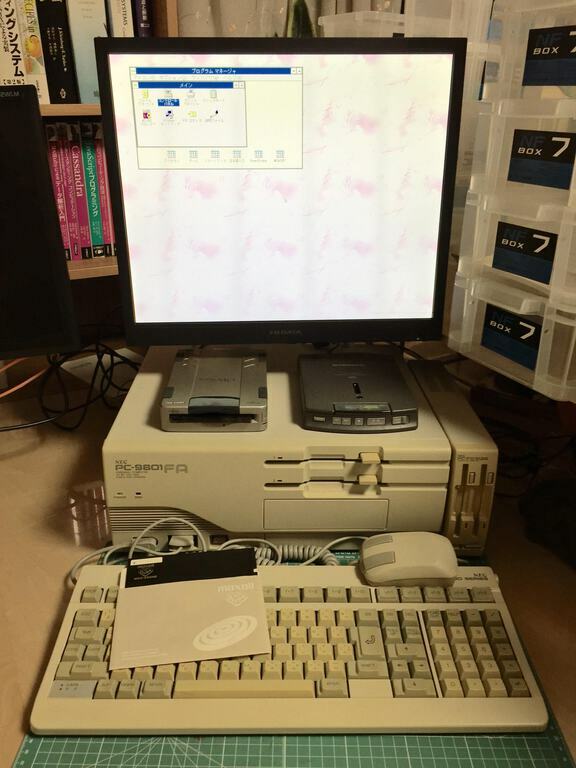 Using Henkan Bancho which is a SCSI and SACI emulator for Compact Flash , I updated a development environment for MS-DOS on a Japanese old computer, NEC PC-9801 FA. 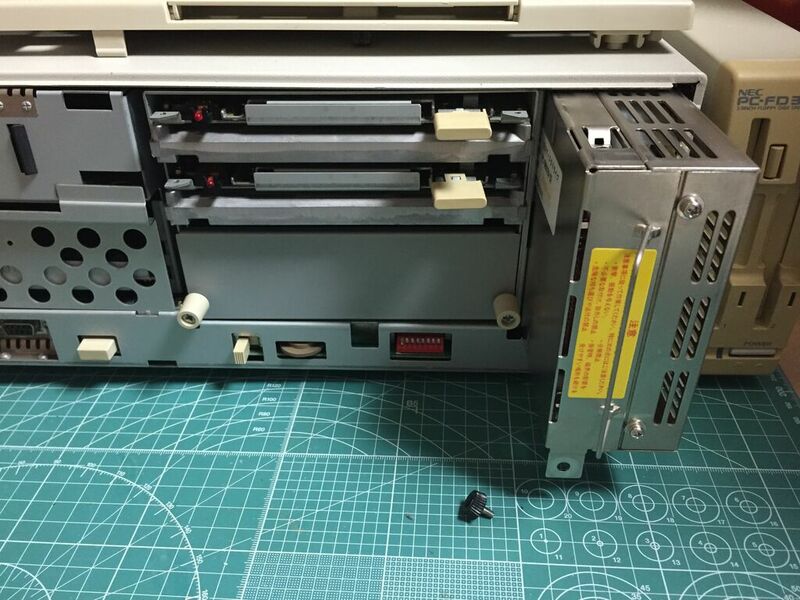 The computer has a removable SCSI HDD case to change it easily. 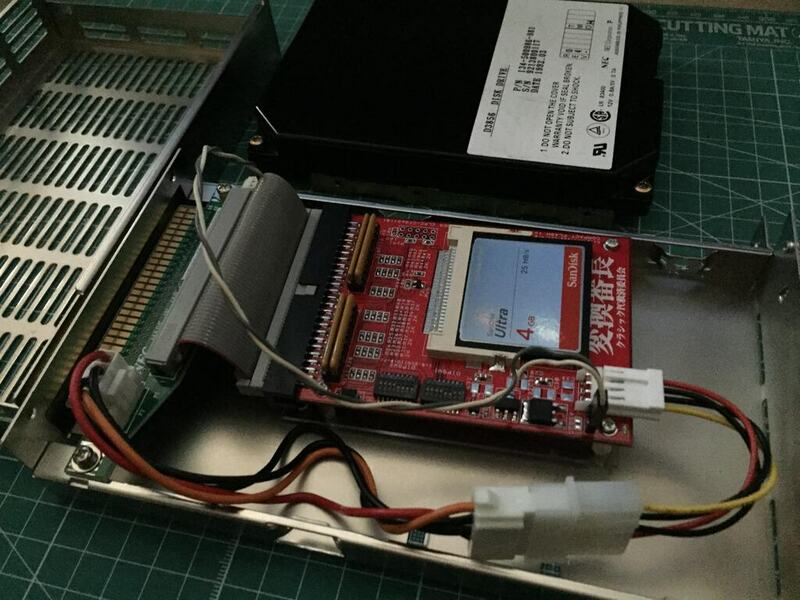 I replaced the old SCSI HDD with Henkan Bancho. 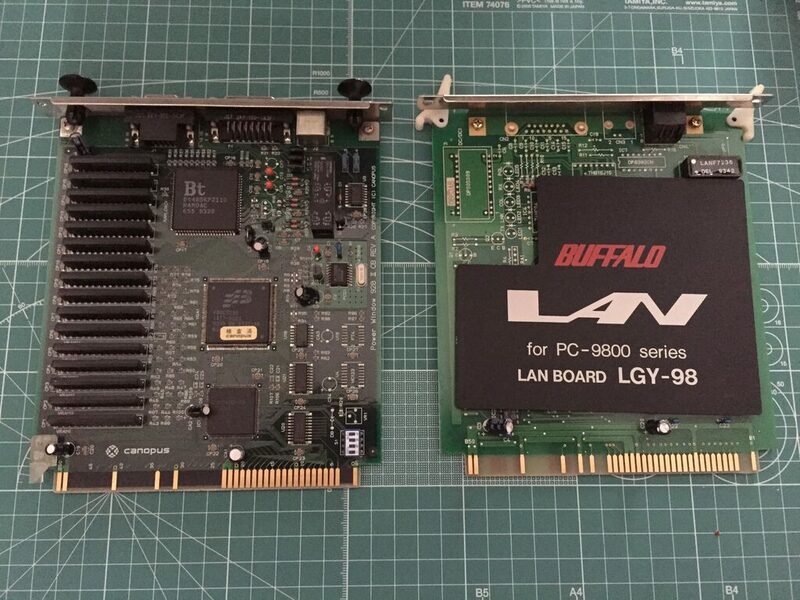 I have installed the following graphics board, Canopus Power Window 928II, and LAN board, BUFFALO LGY-98, to run Microsoft Windows 3.1 and LAN Manager. 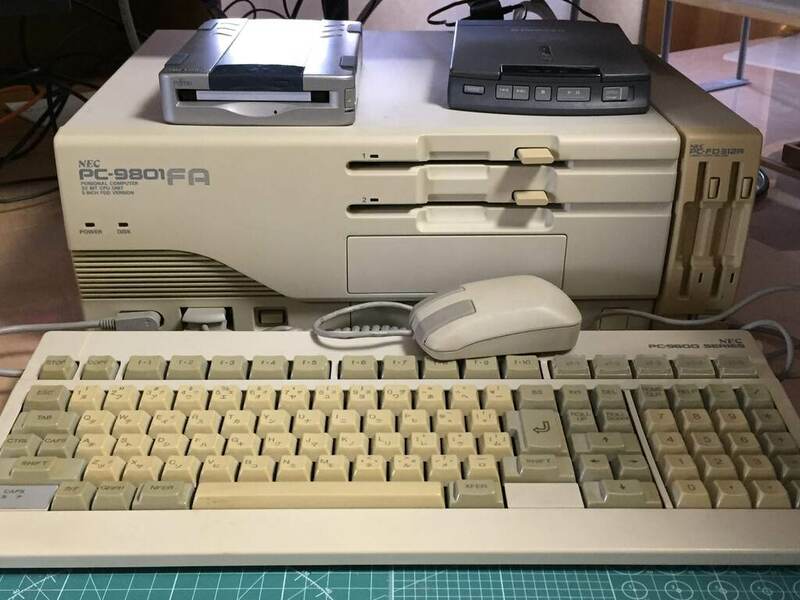 I have installed Microsoft Windows 3.1 on NEC MS-DOS 6.2 with some development softwares such as MS-C 6.0 and MASM 6.0 into to the new SD card.